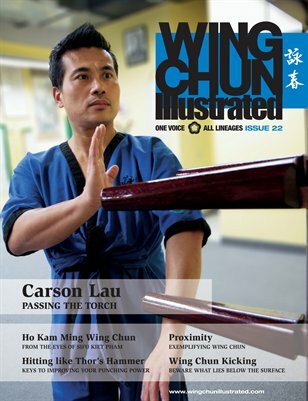 Issue 22 of WCI features Sifu Carson Lau on the cover. Carson has been studying and teaching Leung Ting Wing Tsun for more than 30 years. In 2002, the opportunity came knocking and Carson found himself leaving his high-paying career in Hong Kong to expand Wing Tsun in Canada. Today, Carson is teaching Wing Tsun under his own organization, Carson Wing Tsun Academy (CWTA), and has grown his school to span across many cities in North America. For a complete table of contents, please visit our website.